As both a science fiction author and an academic who studies the role science fiction plays as a bridge between science and society, I admit I have more than a passing interest in the Search for Extra-Terrestrial Life, or SETI. Still, it was something of a surprise when the short paragraph I was writing comparing the social and cultural role of science fiction to the critical role that myth and religion played in the early development of astronomy led me to the realisation that we might be looking for alien life in all the wrong places. Intrigued by the idea that we might be looking in the wrong place, I pursued this line of reasoning, and I realised that social and cultural mores, as well as environment, have had a big influence on the development of science, including spaceflight and related technologies, on Earth. 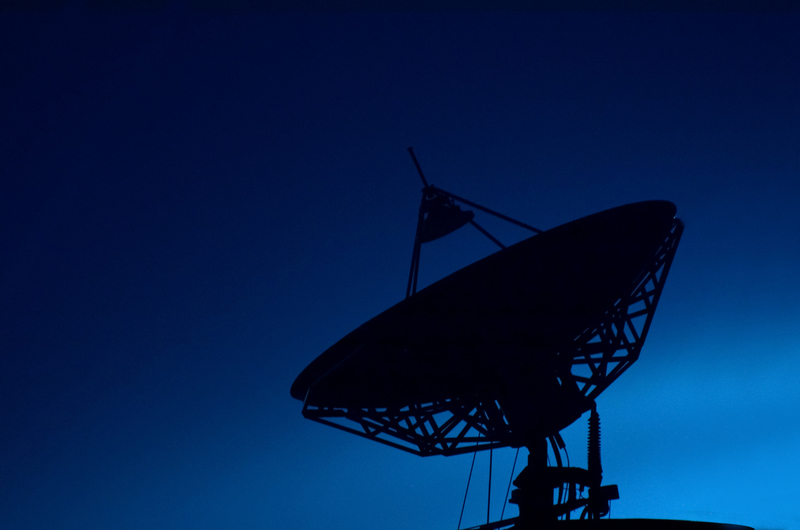 The current search for extra-terrestrial life mostly looks for technological signs of alien life, like radio broadcasts. This makes sense – it is easiest for us to detect technology that we already understand – but it also assumes that any intelligent life that arose on exoplanets we think might be habitable would have similar science and technology to what we have on Earth. This is problematic, because we can see from the history of our science that the technology we have has developed under a very specific set of environmental, social, and cultural factors. If we want to find intelligent life using similar technology to what we have on Earth, including spaceflight and associated technologies, we need to be looking for very specific environments that would, in turn, lead to the specific social and cultural factors needed to develop certain technologies. This means there are a lot of planets we can rule out if we want to find and communicate with other intelligent societies. For example, while we believe water to be essential to life, we can almost rule out looking at water worlds where the surface is completely covered with water to find alien life. While an alien version of hyper-intelligent cephalopods is clearly possible, this society wouldn’t be able to develop one of the fundamentals of human society: fire. Fire is so fundamental to the human pursuit of knowledge and the way it led to space travel that it is all but impossible to imagine an aquatic species reaching orbit, or constructing anything we currently think of as technology. 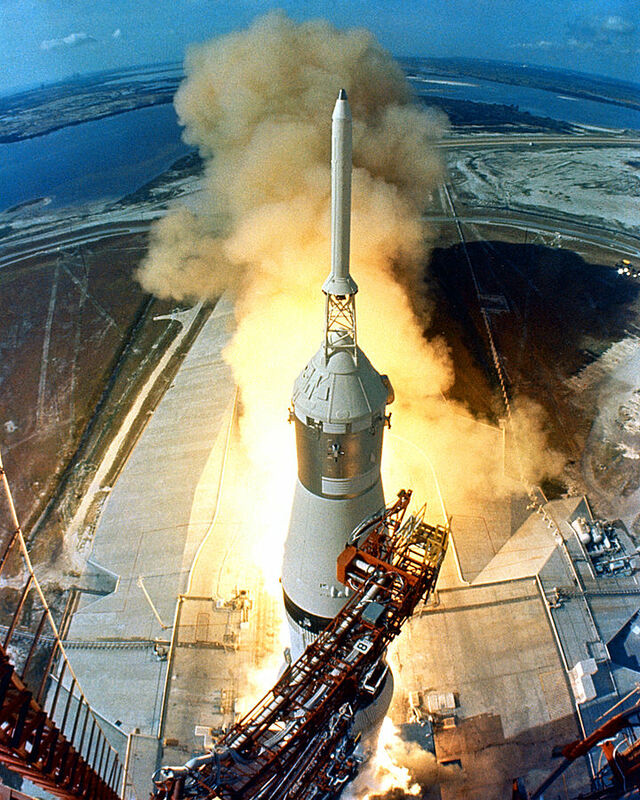 Apollo 11 takes off – on a planet with 3% more gravity than Earth, a Saturn V would have zero payload capacity. NASA/public domain. The simple physics of ‘super-earths’, which are planets similar to Earth only much larger, is another simple but significant environmental impediment to finding and communicating with extra-terrestrial life. While these planets may have conditions favourable to the development of intelligent life, any increase in gravity that might come with their super-size would effectively prevent the development of space travel. On a planet with a gravitational pull that is just over three per cent more than on Earth, the payload capacity of a Saturn V rocket would be zero. Even well before you hit that point, the compounding effect of increasing gravity on the efficacy of chemical rockets would make it impractical for an intelligent species to even attempt space travel. Carrying that idea of social, cultural, and economic factors even further, we know that a significant proportion of potentially habitable exoplanets we have found orbit closely around M-class red dwarf stars. These planets would be tidally locked, with one face always turned toward their sun. An intelligent species that evolved on such a planet would know nothing but endless daylight under an unmoving sun. We know that the history of the scientific endeavour on Earth is impossibly intertwined with astronomy, but would a society that never saw night and day develop anything even remotely like the human fascination with the stars? Without seasons they would have no use for the astronomical knowledge needed to track the yearly cycle. Without the stories of planets, the sun and moon as gods flying in the heavens, would they even imagine the possibility of spaceflight? Without those things worked into the very foundation of their knowledge of the universe, would they ever develop the technologies we are looking for as the signals of an alien civilization? Fortunately, some of the planets we can currently detect are promising candidates for finding extra-terrestrial life. Astronomers have found hundreds of gas giants in the habitable zones around stars, and the exo-moons that orbit these gas giants could be a good place to start looking for extra-terrestrial life. Moons orbiting gas giants can sustain the geologic processes needed to recycle the critical elements needed to support life even at very low mass. This leads to habitable worlds with lower gravity, making spaceflight easier. Furthermore, everything that made astronomy part of the heart and soul of human culture and science would be just as prevalent, if not even more significant, on those moons. Not only would they have day and night cycles, their night sky would be spectacular. In addition to the planets and stars, they would also have a close and dynamic view of the other moons around the gas giant. Not only might that inspire the aliens that evolve there to pursue space travel, it would also give them easily accessible destinations to further encourage them to go out into the stars. And when these societies go out into the stars, the specific social, cultural, and environmental factors that led them there could help us find them. Dr Douglas Van Belle is a Senior Lecturer in the School of English, Film, Theatre, and Media Studies at Victoria University of Wellington. He is also a published science fiction author. His work on the search for extra-terrestrial life was recently published in the Journal of the British Interplanetary Society.